Back for round three on AERYS, Luciano Martinez shows what he's made of. 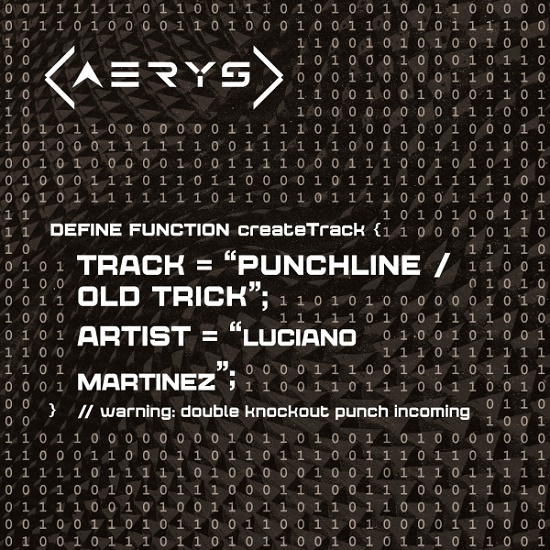 With 'Punchline' and 'Old Trick', the Argentinean hotshot drives his peers into a corner and delivers a double knockout punch so hard they'll remember it forever. For some all-out, full-on power Trancin', this dual offering is the way to go.